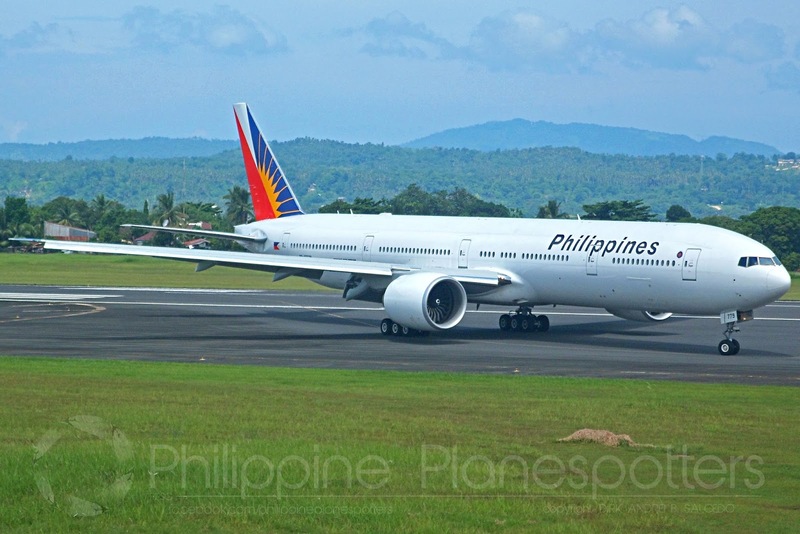 Aviation Updates Philippines - Flag carrier Philippine Airlines flew its milestone 1st ultra-long polar flight from Toronto, Canada nonstop to Manila - the first-ever crossing of the Polar region by a Filipino airline. POLAR FLIGHT. Philippine Airlines holds the record for the first Filipino airline to fly across the Polar region. Photo by Dirk Salcedo PPSG/AUP. PAL flight PR119 took off from Toronto's Pearson International Airport at 12:53AM local time December 17, arriving Manila the next day at 6:10AM December 18 Manila time, after a 16.16 hour journey across the Arctic Region. The state – of – the – art 370-seater Boeing 777-300ER - with registry number RP-C7779 flew 7,200 nautical miles or 13,300 kilometers and traveled over Canada, Greenland, the Arctic Circle, Russia, Mongolia and parts of China. The flight was conducted at cruising altitudes ranging from 29,000 to 37,000 feet. For his part, Capt. Aquino said “I am truly honoured to have been given the privilege to lead this milestone flight. More than that, I was glad to be part of a journey that brought much happiness to passengers on board as they were given a rare treat of the Northern Lights." PAL decided to shift to direct non stop service via the polar route to cut down the total traveling time between Toronto and Manila. The carrier used to operate flights between the two points with a stopover in Vancouver, a longer routing that resulted in a combined flying and ground time of 21 hours. This new route cuts traveling time by 4.5 hours, a saving that translates to greater convenience for passengers. From here on, PAL will be operating these nonstop Manila-Toronto and Toronto-Manila flights on a regular four times weekly schedule, with departures from Manila every Wednesday, Friday, Saturday and Sunday; and departures from Toronto every Monday, Thursday, Saturday and Sunday. At present, the long-range B777 is the fleet for the polar route. The ultra - long range Airbus A350s, which will be delivered starting 2018, will also serve the said route. 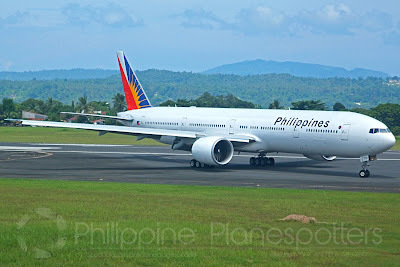 Passengers of this first polar route experienced PAL's signature “Heart of the Filipino” service, inflight entertainment, WI-FI connectivity and the comfortable seats and spacious cabins of the Boeing 777. The all-Filipino cabin crew of PR119 comprised 14 flight attendants and stewards headed by veteran Purser Gladys Santos. The new nonstop Toronto service is the latest time-saving routing enhancement employed by the flag carrier. In recent months, PAL converted one-stops to nonstop flights in routes to Auckland (New Zealand), Kuwait, Jeddah (Saudi Arabia) and Doha (Qatar), eliminating the respective en route stops in Cairns, Dubai and Abu Dhabi. PAL plans to follow up with another polar crossing service on an even longer nonstop route (over 17 hours): from Manila to New York (JFK Airport) and from New York to Manila, using the A350 aircraft, within the second half of 2018.